Esk Valley Estate, nestled in the Hawkes Bay area of Bay View, is a boutique producer of premium quality New Zealand wine. The unique wines are handcrafted using traditional methods and local knowledge to bring out the best of every vintage. Grapes are sourced from Hawkes Bay including the world-renowned Gimblett Gravels and from Marlborough, with both regions consistently producing grapes of an extremely high quality. The 1930s buildings still in use today at Esk Valley contain the original concrete fermentation vats that have proved ideal for fermenting Esk Valley’s award-winning red wines. 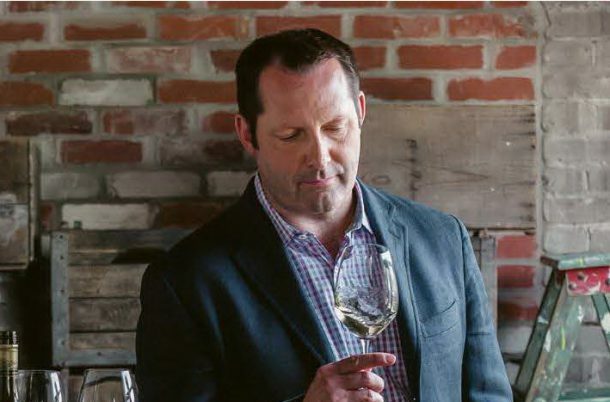 Esk Valley Winemaker Gordon Russell has established himself as one of New Zealand's most recognised winemaking identities with his passionate approach to winemaking, and the enormous success he has achieved with his wines in tastings and competitions. Esk Valley is famous for its premium wine ‘The Terraces’, which is only released those years when the terraced vines on the banks above the winery produce an exceptional vintage. Rod Hallam is a huge fan of Wine, Spirits and Beer. Through a wide range of professional roles, Rod has been immersed in Sales, Marketing and Consumer Education of Beverage Alcohol, giving him a broad spectrum of knowledge and experience. With a background in Biology and a passion for continuous learning, Rod is fascinated by wines and the winemaking process. Esk Valley has always been one of my favourite wineries in our portfolio. Each bottle holds a memory of vineyards, of nature, of people, of ideas and innovation. Each with its own unique tale adds to the story of Esk Valley Estate as it lives and breathes today, a contradiction of past and present, of trial and error, of craft and technology. Rod graduated with a B.Sc. in Biology from Western University in London, Ontario and started his career in Science before moving into Sales & Marketing with Molson, Corby Distilleries and now Villa Maria Estates. He is life-long martial arts enthusiast and is a fan history, podcasts and Brazillian jiu jitsu. Rod, his wife Veronica and children Declan and Pippa live in Ontario. The Esk Valley 2017 Hawkes Bay Chardonnay is a regional style and distillation and evolution of 30 years trial and error. Hawkes Bay on east coast of New Zealand’s North Island has a reputation for making fine Chardonnay. It has a number of distinct sub regions, mostly sited on gravel-based river terraces, although one of the four vineyards utilised is planted in marine soils uplifted in 1931 by a catastrophic earthquake. Significant variation in the style of fruit from each of the vineyards is mostly derived from distance from the coast, the coastal vineyards providing softer and riper styles of wine with flavours tending to peach, those inland showing the influence of cooler night time temperatures, their flavour profile more citric and with more prominent acidity. Understanding of the natural qualities and personality of each of the vineyard sites has allowed us to make a wine with very little winemaker influence. Wild yeasts are employed, barrel fermentation for all but one parcel and extended lees ageing. The goal to make an elegant but rich style, showcasing the citrus and riper peach notes of quality Hawkes Bay chardonnay. Each vintage is made differently to capture the best attributes of each respective season. 2017 was amongst the warmest growing seasons on recorded but early harvest rainfall meant Chardonnay grapes were picked early, with average readings of around 21 brix. This always meant the finished wine would be a lower alcohol, elegant style. To impart as much richness as possible the wine was stirred regularly in both barrel and tank and left on full lees until bottling in Feb 2018. The resulting wine showcases the freshness found in the wines of Hawkes Bay in 2017 while also showcasing a richness of body from decisions made in the cellar. A wine to drink in its youth or with up to five years ageing.